Thursday is the first day of school for Boston Public School students–about 56,000 of whom will be returning to one of Boston’s 138 schools. Welcome back! 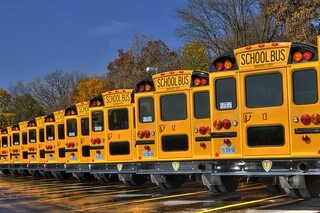 To find out which 16 schools in Boston have City Connects, check out the “Where We Are” section of our website. Students in Springfield Public Schools have been back since August 27; on our website, you can also see the 8 Springfield, Mass., schools with City Connects. We will also be sharpening our work to address the non-school factors that too often get in the way of students attending school or being ready to learn once they get there. The issues traditionally associated with poverty – hunger, health issues, homelessness – present serious roadblocks that prevent students from realizing their full academic potential. Through the efforts of our Child & Youth Readiness Cabinet and Wraparound Zone staff, we will forge stronger connections between schools, districts and local human services providers to ensure that every student in Massachusetts comes to school healthy and ready to learn. City Connects will be providing optimized student support to more than 8,800 students in Boston and Springfield public schools this year. As Secretary Reville wrote, we know that addressing the out-of-school factors impacting students will help them learning and thrive in school. We wish everyone a healthy and happy school year!